If you know a talented and deserving NJ teen performer, come out to support this benefit for the new SMTW Scholarship Program, and encourage that teen to apply for a scholarship while you're at it! 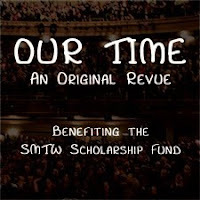 To celebrate the launch of SMTW SINGS!, a newly-established performing arts scholarship fund, South Mountain TheaterWorks proudly presents Our Time: An Evening Of Broadway Showstoppers. Proceeds from this one-night-only benefit concert will be used to fund cash awards at a springtime competition in which area teens will perform before a panel of celebrity judges. Open to all New Jersey high school students, the SMTW scholarship competition is intended to help offset the high cost of pursuing a career in the arts. First prize will be a $500 cash award. This special evening begins with a wine-and-cheese reception, followed by area favorites' performing much-loved songs in an original revue. AUDITIONS TONIGHT FOR THE STROLLERS' "THE BRAIN FROM PLANET X"
Are you a good girl looking to go bad? Have you been told you act like an alien? Are you stuck in the 1950s? YOU are who we're looking for! William Shakespeare’s comedy All’s Well That Ends Well kicks off the fall portion of The Shakespeare Theatre of New Jersey’s 2010 Season. WHERE: F. M. Kirby Shakespeare Theatre, 36 Madison Avenue (at Lancaster Road), on the Drew University campus in Madison. Seen for the first time in more than 10 years on The Shakespeare Theatre stage, All’s Well that Ends Well brings company member Tamara Tunie back to the Theatre in the pivotal role of the Countess. Ms. Tunie currently appears in Law & Order: SVU as medical examiner Dr. Melinda Warner. This new vision of Shakespeare’s mercurial comedic romance, directed by Stephen Fried, features an ensemble of nine actors switching identities as the play moves from Rossillion to Paris to Florence and back again! Whether the love story ends well or not well is often a matter of debate and that has made this tale compelling to audiences for more than four centuries. FAMILY WEEK AT THE PAPER MILL PLAYHOUSE FOR "HAIRSPRAY"
Hairspray will run at the Millburn theater from September 22 through October 24, 2010. Family Week is September 22 through September 26 and during this period children's tickets are half off the regular price (certain restrictions apply). Q & A With the Cast, October 16 following the matinee. Visit http://www.papermill.org/ for more details on Paper Mill Playhouse's Free Audience Enrichment Activities. Celebrate the opening of the 2010-2011 season at The Hairspray Blowout Bash held in Taylor Park and Main Street in Downtown Millburn on Sunday, September 19, from 1:00–5:00 PM. This is a free, fun-filled event for the entire family featuring; games, rides, contests, music and more. PAPER MILL PLAYHOUSE, a not-for-profit arts organization, is one of the country's leading regional theatres. Paper Mill Playhouse programs are made possible, in part, by funds from the New Jersey State Council on the Arts/Department of State, A Partner Agency of the National Endowment for the Arts, and by funds from the National Endowment for the Arts. Additional support is provided by generous contributions from numerous corporations, foundations, and individuals. Paper Mill Playhouse is a member of Theatre Communications Group, the National Alliance for Musical Theatre, the Council of Stock Theatres, and the New Jersey Theatre Alliance. Thurnauer Symphony Orchestra members will have a rare opportunity to work with Alan Gilbert, Music Director of the New York Philharmonic, when he conducts the Orchestra at the Music School’s annual Gift of Music Benefit Concert on February 9, 2011, at Bergen Performing Arts Center. The JCC Thurnauer School of Music will hold auditions for prospective orchestra and chamber music participants for the 2010-2011 school year. WHEN: Sunday, September 12, from 3-6 PM. WHERE: the Thurnauer School, at the Kaplen JCC on the Palisades, 411 East Clinton Avenue, Tenafly. Students may audition for one of three large ensembles—String Camerata, Philharmonia or Thurnauer Symphony Orchestra—or a chamber music group. This year, Orchestra members will participate in a two-hour intensive workshop with Mr. Gilbert, who will then lead them in a performance that evening. String Camerata, a beginning ensemble experience, is open to string players and rehearses on Mondays from 4:30–5:30 PM. Philharmonia, an intermediate chamber orchestra comprised of string and wind players, rehearses on Wednesdays from 5:00–6:00 PM. The Thurnauer Symphony Orchestra, a full orchestra which performs music from the standard orchestral repertoire, rehearses on Wednesdays from 5:00–6:30 PM. 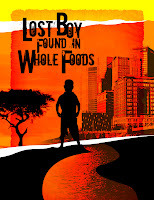 MORE INFO ABOUT "LOST BOY FOUND AT WHOLE FOODS"
I have received more information about the joint presentation of Lost Boy Found at Whole Foods by Playwrights Theatre of New Jersey and Premiere Stages. This is an excellent example of how two theaters with similar missions can join together to make their programs and services stronger and more effective. Pizza Preview" offers Student Discounts and Free Pizza! Students! Join us on Thursday, September 2, and be the first audience ever to see this important new play about Human Rights. For one performance only, anyone with a valid student ID can purchase $10 tickets and join us for free pizza in the lobby before the show. Great food, great theater—It's a perfect way to begin the school year. We highly recommend purchasing tickets in advance for this performance. We want to make sure we order enough pizza for all you ravenous students! Call the box office at 908.737.SHOW, buy online at http://www.keanstage.com/ or visit the box office in person in the lobby of the Wilkins Theatre. 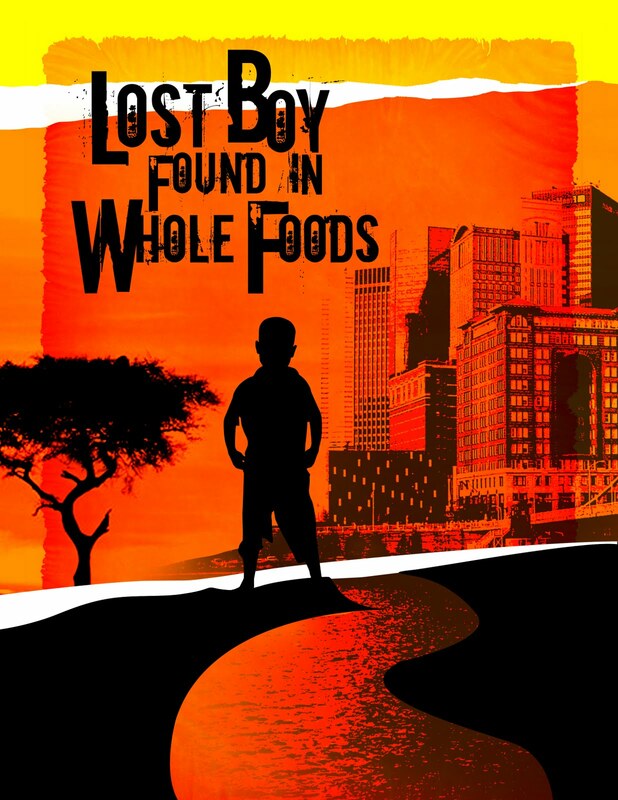 Limited Number of Opening Night Fundraiser Tickets Still Available on Friday, September 3, for a very special performance of Lost Boy Found in Whole Foods. The evening will begin at 6 PM with a pre-show reception at the Human Rights Institute Gallery, followed by the performance at 8 PM in the Zella Fry Theatre. A champagne toast with Ms. Zimmer and the cast will follow the performance. Tickets for this opening night fundraiser and performance are $100 each. 5% of the evening's proceeds will be donated to our community partners, the Darfur Rehabilitation Project. All attendees will receive a playbill signed by Ms. Zimmer and will have the opportunity to meet the cast and playwright of this award-winning play. Call 908.737.4092 to learn more or to make your $100 donation today. The George Street Playhouse's other plays for the 2010–2011 season are listed below. More details to follow as the opening dates approach. If you would like to purchase a season subscription (which often results in great savings) or single tickets, contact the theater at http://www.georgestreetplayhouse.org/ticketinfo.php or call the box office at 732.246.7717. Although peppered with references to Broadway and the world of theater, the heart of this popular new musical comedy is a universal story about anyone who, against all odds, stayed true to a dream. A musical comedy for anyone who has followed a dream. When two struggling writers make a commitment to write something new in three weeks, they quickly find that writing a comedy about the process of writing was more interesting than anything else they could write! A show about four friends taking risks, creating art, killing Vampires (the dream-destroying kind, not the Dracula kind) — and how relationships change when life happens. In the tradition of other powerful George Street plays such as Wit and Proof comes the 1964 Pulitzer Prize-winning story of a young man’s return from service in World War II. After a homecoming celebration, old emotional wounds and unresolved tensions between father and son resurface, placing the new veteran in the middle of a family tug-of-war where love is both a prize and a weapon. The esteemed George Street Playhouse—another of my favorite professional theaters in New Jersey—has announced the plays they have selected for the 2010–2011 season. The first production opens in October and runs through the end of the month. What do a flirty former actress, a teen-aged girl, a hippie husband and a divorced carpenter have in common? Not much, until they take an acting class together for six weeks, revealing secrets that they never intended and transforming in ways they never expected. Notes from David Saint, Artistic Director: “When I saw this smash hit comedy last year at Playwrights Horizons, this quirky collection of suburbanites, reminded me of many of our own audiences from George Street. As they let down their inhibitions, and all sorts of complications ensue, I think you will all recognize many of your friends and smile." In celebration of their first play of the season, Circle Mirror Transformation, a comedy which follows six strangers taking an acting class together, George Street Playhouse wants to hold an acting class at your community! Laugh and learn as we practice acting exercises and play the same theater games used in the show! Limited availability: 10 Lucky Active Adult Communities will be chosen. Class to be offered in September or October 2010. Comedy Is Not Just for Comedians Anymore! Are you comically curious? Comedy workshops for adult beginners and regular folk are being held at the Chester Theatre Group's Black River Playhouse in Chester, NJ, each Saturday morning with a new class beginning September 18. Kate Lyn Reiter’s popular comedy workshops now have a Saturday home with the Chester Theatre Group. They have been presented in the past in conjunction with Centenary Stage Company, Warren County Cultural & Heritage Foundation and Roxbury Alliance for Arts Council. A breast cancer survivor, Ms. Reiter believes that laughter is the best medicine. Ms. Reiter works with ordinary people (as well as those facing serious illness) to re-frame the events in their lives and find the funny —even amid the most serious. The workshops provide a relaxed and judgment-free environment for regular folk to explore their funny bones! Participants learn how to find their unique voice, find the funny in everyday life and shape their experiences into laugh-riots! Special: 8 classes for just $195—with make-up classes for any vacation time missed! Saturday mornings 9:30 AM–12 noon, Sept. 18–Nov. 6. To register call: 908.892.5458. For more information, check out her web site at http://www.katelynreiter.com/. This sweet 1950 B’way comedy featured silent screen star Lillian Gish as Ethel Savage, who wants to use her vast inheritance to help others realize improbable dreams…reason enough for her 3 grown/greedy stepchildren to commit her to a sanatorium. The doctor, nurse and 5 delightfully wacky (fragile) guests welcome Ethel into their charming, eggshell world, eventually helping her break free of her stepchildren, thereby fulfilling Ethel’s dreams and their own. Director Danielle Barry is seeking 5 male actors between ages 25 and 60 and 6 females actors between ages 20 and 70+. Additionally one boy between the ages of 5 and 7 is needed for non-speaking cameo role. SPECIAL NOTE FOR AUDITIONERS: Read the play. Readings will be from the script. Please provide a current resume. WHERE: Somerset Valley Players, located at 689 Amwell Road Hillsborough just a few miles west of Route 206. "Yes, we are the little red schoolhouse!" Callbacks will be Thursday, September 2, at 6 PM, if neccessary. PERFORMANCE DATES: The show runs Fridays and Saturdays at 8:00 PM, Sundays at 2:00 PM, October 29–November 14. For information please e-mail curious_savage@svptheatre.org or call 908.369.7469. The Centenary Stage Company will celebrate the long-awaited opening of the performing arts season in the new David and Carol Lackland Center with a special command performance by the “Stradivarius Voice” of Maureen McGovern on Friday, September 24, at 8 PM. The evening’s festivities will include a catered Gala champagne reception from 6–8 PM, the artist’s concert, entitled A Long and Winding Road, and an exclusive after-party with the artist for a limited number of attendees. A Long and Winding Road features intimate musical portraits of such celebrated 60's songwriters as Joni Mitchell, Jimmy Webb, Paul Simon, Carole King, James Taylor, Randy Newman, Bob Dylan, John Lennon , Paul McCartney, Laura Nyro and more. The repertoire celebrates an eclectic selection of iconoclastic singer-songwriter material including "The Circle Game," "Will You Still Love Me Tomorrow?" "The Moon's A Harsh Mistress," "Imagine" and many others. Joining Ms. McGovern for the performance will be Musical Director and Pianist Jeffrey Harris and Jeff Carney on Bass. Chick Corea Trio featuring Christian McBride (Bass) and Brian Blade (Drum). 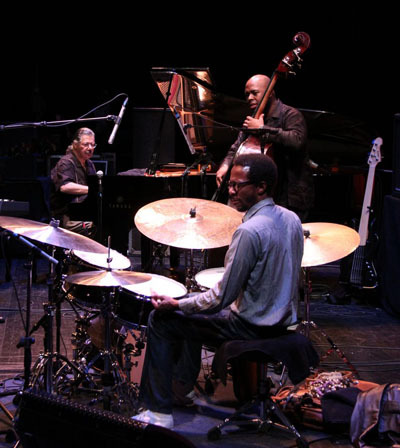 Pianist innovator Chick Corea returns to bergenPAC with all star trio covering acoustic and electric versions of music ranging from “Return to Forever” to now. This concert kicks off bergenPAC's fundraiser with Englewood Economic Develpment Committee (EEDC), Bennett Studios, Englewood Hospital and Medical Center, and The Jazz Foundation of America to raise funds for health programs for musicians without health insurance. Richard Marx remains one of pop music's most beloved songwriters and 20 years since his breakout, he's still helping us fall in love. Hits include "Hold On to the Nights," "Right Here Waiting," and "Now and Forever." Special Guest is Matt Scannell from Vertical Horizon whose hits include "Everything You Want" and "I’m Still Here." Pat Metheny, among the foremost guitarists of his generation, debuts his new album Orchestrion at bergenPAC while also performing hits from 17 Grammy-winning albums with the Pat Metheny group, as well as collaborations ranging from Joni Mitchell to Ornette Coleman to David Bowie. Orchestrion builds on sound layering begun on his 1978 album New Chautauqua and takes it to a new level. This concert also helps Englewood Economic Develpment Committee (EEDC), Bennett Studios, Englewood Hospital and Medical Center, and The Jazz Foundation of America to raise funds for health programs for musicians without health insurance. Includes New York Philharmonic members Michelle Kim, Lisa Kim, Eileen Moon and Robert Rinehart. The performance is co-presented by bergenPAC, Korean Cultural Service NY, and JSAC Management. Sponsored by NVE Bank. Introduce your kids to music at bergenPAC's Kidz Cabaret.The prices are reasonable and the performance times ideal for the little ones. Meet the characters in Prokofiev’s well-known classic as a dynamic storyteller recounts this marvelous tale with the help of a woodwind quintet. Together they bring Peter, his Grandfather and all the delightful animals in the story to life. Join the members of Open Thought accompanied by two professional dancers from Rhythm Impact, as they take you on a journey through time via the turntables-showing the roots of Hip-Hop with such musical forms as Jazz, Blues, Soul, Funk and Rock. Mama Doni’s songs are a breath of fresh air for everyone from “Babies to Bubbies” — hip young kids and their even hipper parents and grandparents. The Centenary Stage Company is seeking volunteers for the inaugural performing arts season in the new David and Carol Lackland Center. The new season will encompass events in both the Edith Bolte Kutz ’42 Theatre and the Sitnik Theatre of the new facility, and with the increased capacity, there will be opportunities for ushers, front of house and administrative volunteers to assist with the programming of this not-for-profit organization with a mission to serve the residents of the Skylands region with a diversity of cultural events. 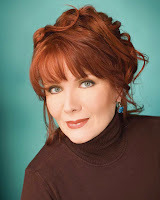 The season will launch with the opening Gala and command performance by award-winning performer, Maureen McGovern on September 24. Ushers and other volunteers will have the opportunity to see performances for free on the days that they work. Volunteers will also be invited to join the formal CSC Volunteer Guild, which will include special opportunities such as invitations to artist receptions and Opening Night parties with artists and staff. For more information about the action-packed 2010-2011 season, visit http://www.centenarystageco.org/. Individuals interested in volunteering should contact Catherine Rust, CSC General Manager at 908.979.0900, ext. 5. The Centenary Stage Company is a professional Equity theatre and performing arts series in residence on the campus of Centenary College in Hackettstown. Programs at CSC are made possible in part through the generous support of the Geraldine R. Dodge Foundation, the NJ State Council on the Arts and CSC members and sponsors. including Jim Brickman, Vanessa Carlton, Sharon Isbin, the Mark O’Connor Quartet, the Moscow Festival Ballet, more dance and a host of family and school programs. From Dvorak to The Doors, these Juilliard-trained sisters have taken the classical music world by storm. “They redefine the art and architecture of chamber music." A benefit performance for the Kean University Scholarship Fund featuring Naomi Youngstein, violin and Michael Stewart, viola performing works by Bach and Mozart; and Bart Feller, flute; Karl Herman, clarinet; Robert Ingliss, oboe; Erika Nickrenz, piano; and Robert Wagner, bassoon performing works by Caplet and Saint-Saëns. 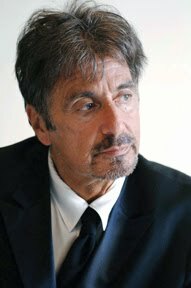 Don’t miss this rare opportunity to hear cultural icon Al Pacino share stories of his legendary career and perform a monologue or two in the intimate setting of a University theater. This acting triple-crown winner—one of the greatest actors of his generation who possesses an Oscar, Tony and Emmy, among many others—will also answer questions from the audience. The Strollers of Maplewood are please to announce auditions for their fall musical, The Brain from Planet X by Bruce Kimmell & David Wechter. This musical is a parody of Science Fiction movies of the 1950's. There will be callbacks on Thursday, September 2. Please visit http://thestrollers.org/ and click on the Auditions link for details about the show. It is not necessary to schedule an audition; simply come to the theatre on one of the audition nights. Those auditioning are asked to prepare 16 bars of a song which highlights your ability. Please bring sheet music in your key; an accompanist will be provided. There will also be script readings, and everyone will be required to dance a short routine. Roles are listed below. 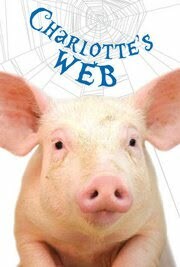 YOUNG ACTORS SOUGHT FOR "CHARLOTTE'S WEB"
IF YOU ARE INTERESTED, YOU MUST CALL OR E-MAIL TO SCHEDULE AN AUDITION. NOTE: A guardian must remain with the young person during the time of the audition to review important parent information. No drop offs, please. At the time of scheduling an audition appointment, you will receive scenes for your child to prepare for the audition. There is no singing in the show. Please call 732.345.1400 ext. 1804 or e-mail lgreen@trtc.org for an audition time, letting us know any time within the 3:30–8:00 PM period you are NOT available. Are you aware that there is a professional children's theater company in north Jersey? It's called The Growing Stage Theatre and they produce 4 plays a year geared to kids. They are housed in a historic theater in Netcong and are well worth the trip to see quality productions—and to expose your kids to the magic of the theater at a young age. That way, they'll love it forever! The Growing Stage has announced their 2010–2011 season. Check it out and mark your calendars. And purchase tickets! Busytown is always buzzing with activity. But what do people do all day? 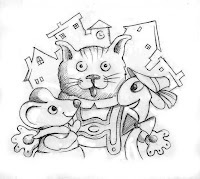 That’s where Huckle Cat comes in—he’ll take us on a tour of his great neighborhood. And there is so much to see and do, so many wonderful friends to visit. 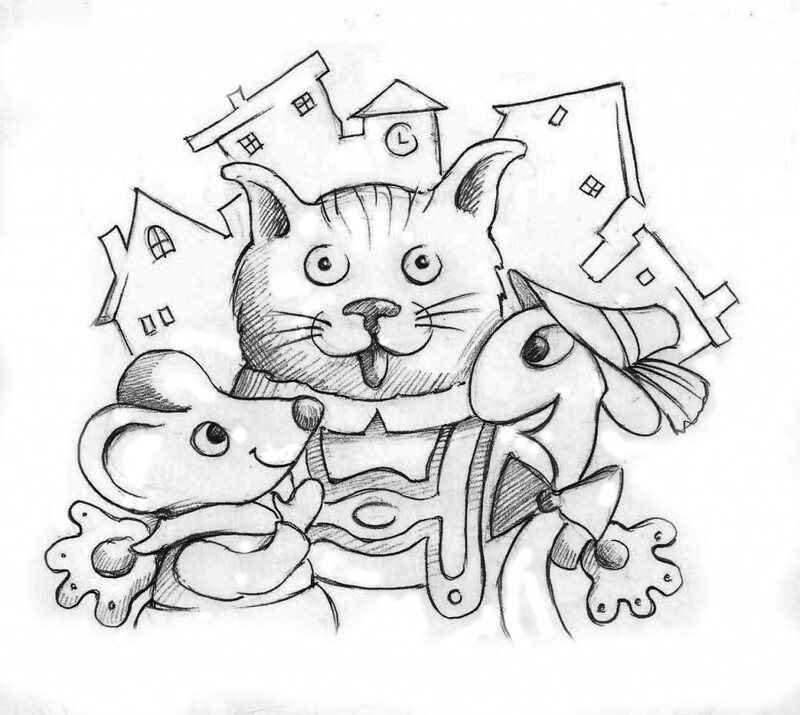 Huckle shows us how Farmer Pig and Grocer Cat work together to bring food to the town. Construction Worker and his crew build new houses, and Fire Chief and the gang keep them safe. Isn’t it wonderful how everyone works together to keep Busytown busy? Also available to schools as a Main Stage Matinee! 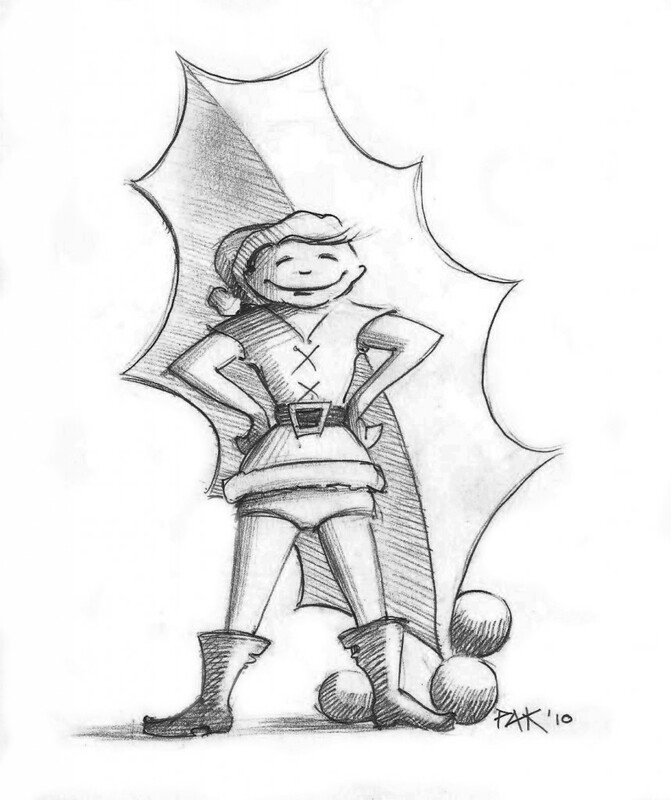 Before the tale created by toy stores and corporations, L. Frank Baum, the author of The Wizard of Oz, wrote down his own magical biography of the man called Santa Claus. As a young foundling he is raised by the Immortals who care for the plants and animals. He is taught to respect nature and to care for its beauty, but as he grows older Claus yearns to know more of his “own kind.” He leaves the protection of the Immortals and finds that humans not only don’t respect nature, they are not too kind to each other either. He builds wonderful toys for the children of the village, but despite his good intentions, the evil Baron attempts to stop Claus from creating “useless distractions that stop progress!” Despite the support of his three magical friends who accompany Claus, this becomes a battle for the right to imagine! This is Baum’s American mythology which celebrates the greatest gift we share with each other—love! As summer draws to a close, so do several programs at local libraries. Did you know that you can see films for free at your library? The Hunterdon Art Museum will present a panel discussion and walking tour of Katherine Mangiardi: Reflected Absence, a two-part exhibition currently on view at the Hunterdon Art Museum and the Red Mill Museum Village. Artist Katherine Mangiardi, Lehigh University professor Kimberly Carrell-Smith, museum curator Mary Birmingham and Red Mill Museum collection manager Elizabeth Cole will discuss the two-part exhibition, which explores the shared histories of Clinton's mills and the lives of the women associated with them. Katherine Mangiardi is a visual artist who often incorporates historic objects into her art, transforming them into tangible links to people and places from the past. The artist explains, "I want to reinvent the history and aesthetics of these places in a way that makes the past feel alive again." Inspired by 19th century women's clothing and handiwork, the artist created a pair of site-specific installations that combine contemporary art with historic artifacts, creating a visual and conceptual link between the two buildings. Kimberly Carrell-Smith, Ph.D, is Director of the Public History Program and the Community Fellows Program at Lehigh University. 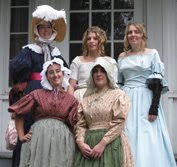 Using the Red Mill Museum Village as a backdrop, Professor Carrell-Smith will discuss the changing roles and expectations of women in nineteenth century America. Mary Birmingham, Director of Exhibitions at the Hunterdon Art Museum will moderate the program. The tour will begin at the Hunterdon Art Museum and continue at the Red Mill Museum Village, directly across the river. While this event is free and open to the public, please call 908.735.8415 to reserve your spot. Last call for all shoe-lovers. This exciting and intriguing exhibit closes next weekend! We all know that women love shoes. I mean, what better way to lift one's drooping spirits than by purchasing—and wearing—a new pair of shoes. Red ones, for me, to be exact! Well, the Morris Museum on Normandy Heights Parkway (just off Columbia Turnpike) in Morris Township has mounted a major shoe exhibition featuring more than 250 pairs of shoes. The Shoe Must Go On! explores centuries of shoe design, and presents shoes from many different “walks” of life. The show will be on view through August 29, 2010. Guided tours of the exhibition every Saturday at 1 PM. The Museum is open Wednesdays, Fridays, Saturdays: 11 AM.–5 PM. The exhibition will explore more than fifteen themes and feature footwear of distinguished individuals who share a special connection to the state of New Jersey, including Governor Chris Christie and Thomas Edison, among others. "LOST BOY AT WHOLE FOODS" OPENS SEPTEMBER 2! Just a reminder that two of our most esteemed professional theater companies in northern NJ have joined forces to produce a new play. Lost Boy Found in Whole Foods opens September 2. Get your tickets today. If you love to experience new, sometimes edgy, theater, then this production is just the ticket for you! Call today to order tickets. Premiere Stages at Kean University is collaborating with Playwrights Theatre of New Jersey to produce Tammy Ryan’s beautiful play, Lost Boy Found in Whole Foods. WHERE: Zella Fry Theatre on the Kean University campus, 1000 Morris Avenue, Union, N.J. Performances dates include Thursday, Friday and Saturday evenings at 8 PM; Saturday and Sunday afternoons at 3 PM, Wednesday, September 15, 10:30 AM through September 19. TICKETS: $15 to $25, with discounts for groups. For more information, call 908.737.SHOW or visit www.kean.edu/premierestages. For group rates and packages, please call 908.737.4077. In this timely new work, Gabriel, an optimistic former “lost boy” from Sudan meets Christine, a suburban mother in desperate need of attention and adventure. What begins as an unlikely friendship becomes an unbreakable bond that changes the pair and leads them to a better understanding of their place in the world. Four-time Emmy Award Winner Kim Zimmer leads the accomplished professional cast that includes David Farrington, Jamil Mangan, Trish McCall Warner Miller and Alexandra Rivera. John Pietrowski directs. Best known as Reva Shayne on Guiding Light, Kim is also an accomplished theater actress, having starred off-Broadway in John Patrick Shanley’s Four Dogs and a Bone and in numerous regional productions including The Rainmaker, Jake’s Women, Blood Brothers, Dirty Blonde and as Mama Rose in Gypsy. Kim has appeared on McGuyver, Models Inc., Seinfeld, Designing Women and several films including Body Heat. HISTORIC SPEEDWELL FASHION SHOW TODAY! Historic Speedwell's 2nd Annual Fashion Show: "Mrs. Vail’s Closet"
To be a wife of Stephen Vail took style, grace and ingenuity. Enjoy a 19th century fashion show featuring reproduction wardrobes representing the three wives of Stephen Vail—Bethiah, Mary, and Phebe. If you are going to the shore—Asbury Park, to be exact—before the summer ends, ReVision Theatre has a show that will make you smile! Best of all, its run has been extended through August 28! It's a great way to bring the summer to a close. And it's a great antidote to Jersey Shore! This musical celebration of "Jersey Girls" begins in the summer of 1964 and is filled with hits such as It's in His Kiss, Yellow Polka Dot Bikini, Heat Wave, and many more you won't want to miss! BECOME PART OF A HOLIDAY TRADITION! Note: The Chatham Community Players is a top-notch company that puts on first-rate productions! Their biannual production of the Charles Dickens classic, a musical version of A Christmas Carol, is the highlight of the holiday theater season (much as The Nutcracker is for ballet). The large cast means that many actors are needed. Read on and see if this production is one you'd be interested in joining. The Chatham Community Players will hold open auditions for Philip Wm. McKinley's original musical adaptation of Charles Dickens' most famous work, A Christmas Carol. This biennial event has been pleasing audiences in Chatham since 1988. Director Bob Cline seeks a large cast of varying types and ages, all of whom need to sing and move well. Production dates are December 3–19, 2010. * Saturday, September 11, at 10 AM at Stanley Congregational Church, 94 Fairmount Avenue, Chatham. * Sunday, September 12, at 6:00 PM at The Chatham Playhouse, 23 North Passaic Avenue, Chatham. * Tuesday, September 14, at 7:00 PM at Stanley Congregational Church, 94 Fairmount Avenue, Chatham. Musical Director Judy Stanton asks that auditioners be ready to sing a song, which shows their vocal range, and tobring sheet music in the appropriate key. An accompanist will be provided. 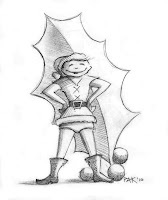 Child actors without previous audition experience or material can choose a traditional holiday song or another non-rock song that they know well. The Ghost of Christmas Past: (a young girl or boy with a lilting soprano) Should be a dancer or have had dance training. The Ghost of Christmas Present: (an imposing character tenor) Must be comfortable with music and be physically fit. Various other Ensemble members portray a variety of roles including the Pawnbroker, Charwoman, Undertaker, Laundress, Cratchit Children, the Ghost of Marley, Young Scrooge, Fan, Scrooge's Nephew and Niece, and Carolers. The JCC Thurnauer School of Music in Tenafly, New Jersey announces an opportunity for young people aged 6-15 from Bergen County and beyond to audition for the Young People’s Chorus at Thurnauer. WHERE: Thurnauer School, Kaplen JCC on the Palisades, 411 East Clinton Avenue, Tenafly. No preparation or choral experience is necessary to audition. To reserve an audition time, e-mail thurnauer@jccotp.org or call 201.408.1465. JCC membership is not a requirement for enrollment or financial aid at the Thurnauer School which is supported, in part, by the New Jersey State Council on the Arts/Department of State. Rehearsals will begin on Mondays beginning October 11 at 3:45 to 4:45 PM for Prelude Choir, ages 6–9, and at 5:00 to 6:30 PM for Concert Choir, ages 10 and up. Your teenager (or preteen) may have seen the film umpteen times, but there is nothing like a live theatrical performance. The electricity in the air is palpable! And the Paper Mill Playhouse is just the place to introduce your kids to American Musical Theater (I know...that's where I got my first dose of professional theater!). Millburn is a great restaurant town and parking is nominal. That, coupled with NO TOLLS, makes Paper Mill Playhouse an attractive venue to feed your theater addiction (that's a good kind of addiction to have). Now, Paper Mill Playhouse has announced that the 2010-2011 season opening production, Hairspray has extended its performance schedule. 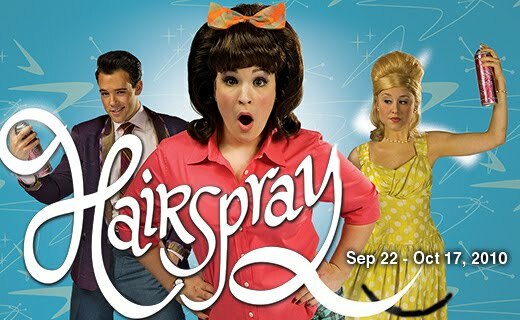 Originally scheduled to run through October 17, Hairspray will now run from September 22 through October 24, 2010. Hairspray is proudly sponsored by American Airlines, the official airline of Paper Mill Playhouse. Single tickets are now on sale and range in price from $25 to $92. Family week is September 22 through September 26, during which children's tickets are half off. Student rush tickets are $20 and are available the day of performance in person with current student ID. Tickets may be purchased by calling 973.376.4343, or at the Paper Mill Box Office on Brookside Drive in Millburn, or online at their brand-new website: http://www.papermill.org/. Paper Mill Playhouse gift cards, available in any denomination, can be purchased at the Paper Mill Playhouse Box Office. Visa, MasterCard, Discover and American Express are accepted. Groups of 10or more can receive up to a 25% discount on tickets and should call 973.379.3636, ext. 2438. 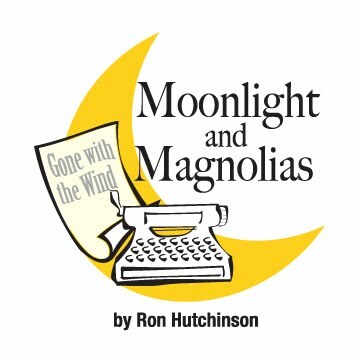 With the plethora of community theaters in northern and central Jersey, you may have considered auditioning for a production or two but have been unsure of your acting technique. Well, Centenary Stage is offering an adult acting workshop for you to sharpen your dramatic skills. Check it out! WHEN: Monday nights from 6:00 PM–9:00 PM, from September 13 through December 13, 2010. HOW MUCH: The cost of the 14-week session will be $200. For registration information for the Actors Workshop, contact the CSC Administration Offices at 908.979.0900 X3 or visit http://www.centenarystageco.org/. A special Actors Workshop for Adults will be offered this fall by the professional Centenary Stage Company. Centenary Theatre Arts Professor, Stephen Davis will lead the class, which will focus on improvisation and scene study. Actors will utilize both imagination and physical based technique to approach character and scene creation. Attention will be given to individual and partner work. The JCC Thurnauer School of Music will host an Open House with musical events for children at the Kaplen Jcc on the Palisades. The JCC Thurnauer School of Music is recognized as New Jersey’s leading community music school. Everybody is welcome to attend the open house for a sampling of the wide range of programs offered each year to a thriving and diverse community of children and adults who share the common love of making music. 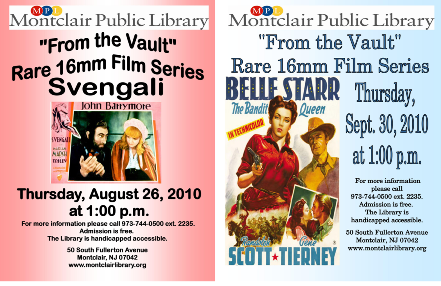 This event is free and open to the public; JCC membership is not a requirement for participation or enrollment or financial aid at the Thurnauer School, which is supported, in part, by the New Jersey State Council on the Arts/Department of State, a partner agency of the National Endowment for the Arts. Hear current music school children perform in a family-friendly environment. The JCC Thurnauer School of Music (www.jccotp.org/thurnauer) is New Jersey's leading community music school, serving over 450 students in northern New Jersey and beyond. It also serves as an area cultural resource by presenting over 30 concerts annually, as well as master classes with world-renowned artists. The School is a member of the National Guild of Community Schools of the Arts and an integral part of the Kaplen Jewish Community Center on the Palisades. Note: I am especially interested in the audio description feature offered by Paper Mill Playhouse and other theaters. My six-year-old grandson is blind, and it is comforting to me to know that he will be able to attend and enjoy the theater through audio description. I recently attended a performance at the Theater Project where audio description was used by the blind people in the audience, all of whom really responded to the play. All theaters should offer this service! Paper Mill Playhouse has been awarded the 2010 American Council of the Blind/Audio Description Project Award for Achievement in Performing Arts for their audio-description program and unwavering commitment to the blind and those with vision loss. The American Council of the Blind (ACB) is a national organization of blind, visually impaired and sighted individuals whose purpose is to work toward independence, security, equality of opportunity, and improved quality of life for all blind and visually impaired people. The Audio-Description Project (formerly Audio Description International) is dedicated to providing quality descriptive services of theatre, television and films. The award was given in Phoenix on July 14 as part of the American Council of the Blind's annual conference. Paper Mill Playhouse began serving those with vision loss in 1987 by being one of the first in the area to provide regularly scheduled audio description. Audio description is the live objective translation of the visual action of a play in between lines of dialogue and/or lyrics. Patrons utilizing this service use a personal receiver to listen to a trained professional describer. Paper Mill Playhouse also offers free pre-show Sensory Seminars. Seminars provide an opportunity for the blind or visually impaired patron to touch key props and costumes, as well as hear a detailed description of the visual elements of the production such as sets, costumes, and lighting. Performers also participate to provide voice recognition. Braille and large print programs round out Paper Mill Playhouse's array of services for the blind. BICKFORD THEATRE PRODUCTIONS WILL TICKLE YOUR FANCY! The Bickford Theatre has announced its 2010-2011 season productions, and it looks like a very interesting, fun-filled lineup. Tap your troubles away with this rollicking and romantic musical from the composer of Hello, Dolly! and La Cage Aux Folles. Mack & Mabel takes you on a thrilling roller coaster ride through Jerry Herman's greatest score in this tale of silent movie director Mack Sennett's pie-in-the face, Keystone Kops, and Bathing Beauties Hollywood- and Mack's even wilder love affair with his leading lady Mabel Normand. Enjoy such classics as "I Won't Send Roses" and "Time Heals Everything" in what the New York Post called "the most lovable musical in years." Hollywood is abuzz! Producer David O. Selznick has shut down the filming of Gone with the Wind. The screenplay just isn't working. So what's a movie mogul to do? Fire the director, pull Victor Fleming off The Wizard of Oz, and lock himself, Fleming, and script doctor Ben Hecht in his office for five days until they have a script. 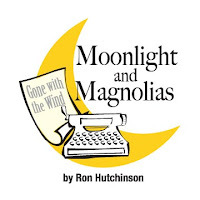 With only bananas and peanuts to sustain them, they work through and act out Margaret Mitchell's bestseller and make movie history by fashioning a screenplay for one of the most successfuul films of all time. "Frankly my dear, this is one funny play." —NY Daily News. BROOK ARTS CENTER ENGAGES IN TIME TRAVEL! 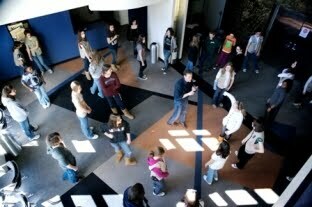 HEXAGON PLAYERS HOLDS AUDITIONS FOR "ANNIE"
OPENING WEEKEND AT THE SOMERSET VALLEY PLAYHOUSE! CHESTER THEATRE GROUP SNAGS 11 PERRY NOMINATIONS!